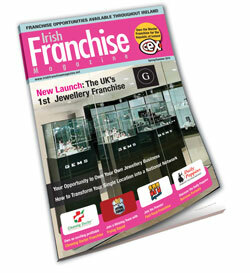 The latest edition of the Irish Franchise Magazine has gone on sale. The Irish Franchise Magazine includes a range of articles that provide information and advice on the franchise industry in Ireland. As well as providing readers with information on a number of franchise opportunities available in Ireland, the magazine also includes in-depth articles by franchise experts providing advice to business owners looking to franchise their business concept. Registration is quick, easy and free of charge. Use the short form below to register with The Irish Franchise Magazine. You can then contact companies of interest and sign up to receive regular news updates.